The aim is to complete the return in good time to advise of the tax liabilities payable 31 January and 31 July each tax year. Corporation tax returns are completed once the accounts have been agreed and we can advise on the payment of the tax which is payable 9 months and 1 day after the year end. 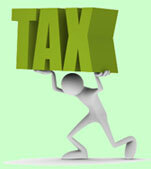 For a no obligation chat about how we can help with your tax please use our CONTACT PAGE.